Recipes suitable for the Eat to Live program can be found throughout this website, in the Eat to Live tag section, and on the Blog. For more information, check out the ETL section of the FAQS page. For a graphic representation of the ETL program, see this page. Not sure whether a vegetable is starchy or unlimited? Check out this list! But, to really understand it all, you must read the book ! I just discovered this book on Amazon and ordered it. I’m so sick of being fat and eating horrible. I just hope I can stick with this for 6 weeks! Is powdered peanut butter okay to eat? I posted earlier about not lossing yet and possibly making mistakes or just my body abjusting. I’m a mom of 3. In my upper 40’s with clotting issues, knee problems that i can’t have surgery for because of clotting, Arthritis now in knees and other areas due to knees, chronic pain and inflammation. I’m 58 lbs over weight. Bought a bike and ride everywhere I can. I used to be highly active hence the knee issues. I feel I’m walking in someone else’s body. I’m very limited and can’t just walk off the weight like I used to. I really need to loose the lbs to be more physically comfortable. Plus, busy with great husband, 3 boys 10-18 and work. I am Loving this way of eating. It has already cut sugar cravings for me and I don’t feel I need to eat between meals:) I don’t get as many headaches. Dealing with gassy issues but thank you Beano!! I’m not loosing weight yet and it’s been 2 weeks. Does anyone else have that issue where it has taken a few weeks to kick in? Maybe I’m doing it wrong? Green smoothie a.m., homemade bean soup with onion and mushrooms, big green salad for dinner with a side of steamed veg. I do drink my coffee because I just love it. I love eating this way. I just really want to loose. I’m thinking of following the eat to live plan after Christmas to lose around 20 lbs. I’m a pretty muscular woman (thick legs and lower body) and I want to keep it that way. There’s a difference between losing weight and being “skinny fat” and being lean; I want to be the latter. Plus I like my big legs. I’ve never done a diet like this while weight lifting to accomplish this goal. Does anyone have any experience with this and insight on how well my current muscle mass will be maintained with this way of eating and weight lifting? This looks like a great plan except my husband and I need to gain weight. How can we accomplish that? More nuts and starchy veggies? Anything else? I am 5’4″ and weigh 104. He is 5’6″ and weighs 151. Does anyone have any idea if you’re supposed to weigh the cooked vegetables before or after they’re cooked to get the 1 lb figure? I love salt-free “Spike”….I find it in all the health-food stores. Be sure it’s the salt-free version. Says so on the bottle. (there are salty versions of Spike seasoning as well). Good luck! I am not able to cut my salt completely. How did you all do it? I am really struggling with it. HELP!! I need EASY RECIPES!!!! Rhonda, if you look around this site a little it is a wealth of info.. I found this for you… starch is on the limited list I hope this helps. Hi all, I have not been here in a long time I had lost 23 lbs and looked good and felt better. My problem is I started to slip. Gained a few lbs back and did not feel good anymore. No excuse but I have thyroid and lupus and I just got down.. I am already losing again. Good condition. Used books can include moderate writing, highlighting, or notes…….. They have many.. But honestly the library is a great choice you find the pages you really need and make a copy for .10 cents each.. you can also get it on kindle for about $2.50.. Anyone that uses he book will probably do much better. I know I did.. Good luck everyone. Iva, If you had just looked at the info on this page almost all your questions would be answered. Normal potatoes are a starchy veg, they are limited. See just below…. *avoid breads and cereals as much as possible, just below that…Then off limits you can find…•fruit juice, dried fruits.. If you want to become vegan and have a difficult time eating a plant based diet just watch Earthlings on YouTube. I’ve been vegan for the past five years ever since I’ve watched this movie it changed my life for better. I don’t remember the last time I’ve been sick, I feel energetic all the time. Respect yourself and all life, go vegan. Personally I have been on this plan for a week and I did cheat and have a little meat, I still have lost 7 lbs! I did have a hard copy of the book but I guess that got lost so I am using your instructions and doing the best I can. I have not been hungry, but it is important to eat enough raw veggies (my thoughts anyway) give it a try you might just lose a little weight. Does anyone know if cooked beets are unlimited or limited on the ETL diet? thanks. Is balsamic vinegar allowed? How else do people make raw salad more palatable? How do you define “weird”..? Often times when the body is given a chance to cleanse/detox you might feel “ill” or tired or just not “normal”. Also, because meat takes such a lot of energy to digest and process it can be a bit sedating. Maybe give your physiology a chance to do a little housecleaning (during which time you may feel a bit “weird”) and then see if increasing some of the clean (plant/nut-based) proteins helps. Good luck! Every time I try this diet, I feel “weird,” and when I revert back to eating animal protein I feel normal. Could it be that a plant based diet just isn’t for everyone? I ask this because I would love to be able to eat this way, however, I just don’t seem to feel quite right whenever I try this diet. Ronda, thank you so much for the suggestion, sounds delish! Alexis, I am also pre diabetic. I have been reading the “End of Diabetis” , I am doing my best to follow his guidlines. I was wondering, in order to get adequate protien, is it safe to take vegan protein powder? How about Nutritional Yeast? I feel best when I have at least 18 grams of protein per meal, so I have been adding these in, just not sure how much can be taken safely? I am apre-diabetic lady in my mid 30s. I spent my twenties drinking and smoking and partying until I got married and spent the second half of my 20s and the first half of my 30s having babies and yoy-ing in weight and health. My 3rd child will be 2 in August and I am about 30 pounds heavier than is healthy (and comfortable) for me. I’ll give this a try! It sounds like if I could stick to it it will work. I hope I don’t feel too restricted. Here’s hoping! I am on day 2 of ETL and I feel like I am not losing any weight. How long does it take for the weight to come off? I know its only a few days but I’ve heard so many people say they could tell they lost weight in the first week. I tried this for several years, then fell off. I am starting up again, this time for good. Just wanted to say that the chocolate banana smoothie made this diet much easier as I couldn’t sleep at night without my chocolate! Delicious and guilt free! Today is my third day on ETL plan and I have already lost 1.2kgs, I know its fluid but its still amazing. I am hoping to lose about 15kgs and keep it off for my wedding In October. My question is are we allowed to eat out on the 6 week plan even if we choose veggies as the dinner option ? I could not eat a pound of vegetables two times a day. I simply measured out 8 ounces of raw veggies for lunch, and 8 ounces of veggies to cook for dinner. I weighed about 125 when I started and lost 20 pounds. I looked too thin, so I gained 10 back. I gained a great metabolism, and I am easily maintaining even though I have little exceptions from time to time. I’m feeling lean and healthy and my lab tests are very good (for my age and medical history). Hey I started the plan this week. I have a few questions though. I have found it hard to eat all this food unless I am seriously overstuffing myself. I have been eating at 10 am, 3pm and 7-8pm ish. Would it be better to add a couple more meal times to get all the food in or just stick with what I’m eating? Also I am unsure if eating so late is a good idea…I go to the gym after work from 5:30 until 6:30 or 7 so that would be the earliest I could eat unless I ate right before working out. Any advice would help. I am very excited to start eating and feeling better! I have the original ETL book and find the recipes to be really great. I don’t have a “revised” version so can’t compare but you can find the original ETL book in paperback on Amazon – used ones can be very inexpensive there. Good Luck ! I am excited to start ETL today! I’ve tried every diet known to man. The last thing I did was keto – LCHF, I lost weight but felt horrible! I was literally eating butter and cream cheese. I sat at my desk one day eating my 2 oz of cream cheese for lunch and thought “you are an idiot”! All the information out there is so confusing but my common sense keeps pulling me back to Dr. Fuhrman’s plan. That’s brilliant! We can help and support each other! I am planning to start my weight lose journey moderately. I want to loose 30 lbs and keep it off. So maybe we can plan something together. Does anyone want to be my lossing weight mate? I need to lose 25 pounds and I lose weight very very slowly, so I will probably need to be in the plan for about 6-8 months. Read ETL 6 years ago, and had my husband read it as well…then the whole family made the switch. The first few weeks were so hard, then we would still have meat/junk food once a month, then the craving for it all slowly went away. We found sweets too sweet, and vegetables/fruits so satisfying. For me, I had been eating a certain way for 30 plus years, it was a hard adjustment for my body, but it turned around, and I’ve never been so grateful! We lost over 100lbs combined weight at our house. We no longer have high blood pressure, high cholesterol, after 3 years I found my vision had changed and I no longer needed glasses, depression went away, we sleep better, have more energy and are rarely sick and when we are, it’s so much less severe. And because of the 90/10 I never felt like I couldn’t eat anything, I just had to watch how much. This is the best thing you could do for yourself. It is hard at first, but like anything hard, it is so worth it in the end! Back in ’10 I followed ETL for 6 weeks. I went from 172 lbs to 149 lbs. I was eating 1 starch a day, but other than that being strict. I felt really good, though that one starch serving seemed to make me crave more. I’m in grad school now. I gained weight, up to 165 lbs. I decided to do ETL again, but to stay on it this time. I’ve been on it for less than a week, and I’m already down to 159. It really works. If your weight isn’t moving, Dr. Fuhrman recommends cutting starch. It works for me. As to being so hungry…yes, I experienced hunger too. You can try having more avacado and nuts, being sure you have the flax or chia seeds, and adding beans with your other meals. Your weight loss will slow down, and probably also your hunger issues. I’m on day 8 of ETL and have lost 6.5 lbs. The problem is I am hungry almost all the time. 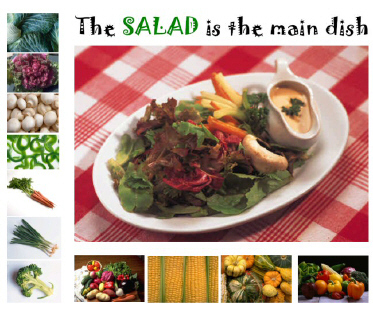 I eat a big salad and bowl of bean soup or vegetable chili and feel full, but in a a hour or two I’m hungry again. The first few days it was that “toxic hunger” but now I literally would eat just about anything to make the hunger go away. It is so discouraging. I haven’t seen anyone complain about hunger. I’m eating the 1oz of nuts, about 1 cup of beans, 2 salads, soup, and hot cooked veggies, plus fruits in the a.m. and after dinner. Please, please help with suggestions. I don’t want to stuff myself at lunch so I’m not hungry later – that doesn’t make sense, but I’m also not suppose to snack between meals. Carl Swanson – Your comment about only loosing muscles mass and not fat defies all the scientific research. You should see a doctor if that really happened to you as the body always burns glycogen first, fat second and spares muscle last as a survival tactic. In your case a serious genetic defect must be present if what you say happened. Hi! I’m trying this tomorrow. Is it allowed to eat a little oil with your meals or is that completely banned? I just wanna say that I did this diet for a month and lost almost 10 pounds but looking back most of the weight I lost was muscle mass in my legs. I had spent years building up the muscle in my legs as a long distance cyclist and runner. Now I have chicken legs and still have the love handles I was looking to shed. This diet is for people who are obese and need to lose lots of weight. Also it is an extreme diet that does not cover all the nutrients I need by a long shot. It did help me to eat more greens though! As a lifelong (66yrs)victim of the North American diet i find myself 100lbs overweight, out of control diabetes,high blood pressure and high cholesterol. Tripped over Fuhrmans 2 hour infomercial a few weeks ago and thought to myself this guy makes a lot of sense, bought the book and am now 2 weeks into the plan.To date i’ve lost 17lbs,cut my insulin in half and seem to have much more energy all without the feeling that i’m sacrificing anything foodwise. Fuhrmans plan is definitely the way to go if you want to improve your health.. I am 70 yrs old. It has been 2 yrs now since I lost 50 lbs doing this, and I am still doing it and have kept the 50 off! I cannot begin to list all the benefits I have enjoyed physically, mentally and spiritually. Someone on here said their doctor said you cannot lose weight after menopause!!! What a joke. Many people ask what I have done and want to do it, too. The frustrating part is that most are not ready and don’t get very far.